Searching for new homes for sale in Greensboro can present countless options for your perusal. Choosing the right one can be challenging, especially if you’re not a new home expert. Enter: your real estate agent. Agents spend their professional lives buying and selling homes. While you’re searching for your perfect future home, tap into your agent’s wealth of knowledge to help you make the right choice. What Do You Like About This Home? Agents spend their days touring new homes in Greensboro. They are privy to the conveniences and drawbacks of many new homes. Asking your real estate agent about what they like about the home may uncover some of the home’s appeal you may have missed. What Do You Know About the Builder’s Reputation? Real estate agents don’t just know homes; they know home builders. Being in the industry of selling homes built by various builders naturally results in feedback from clients or other agents’ clients about their new home experience. That information can be helpful when making your decision to purchase a home by a specific builder. What Would You Change About This Home? Real estate agents don’t just know what’s great about a home, they’ve seen enough homes to know what negative signs to look for. Ask them what they’d change about a home you may be interested in. It’s as valuable as asking a renowned chef what he would change about a recipe. You’re bound to come out ahead with his answer. Do You Think the Price is Fair? Real estate agents also know about price and the housing market. They know what homes have sold for in the area, and possibly what the value may be in the future. Take advantage of your agent’s history in the new home market by getting honest answers about price before going all in. Start the conversation with your agent by starting your new home search with R&K Custom Homebuilders by calling them at (336) 643-3503. 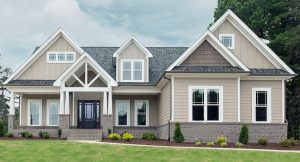 With brand new homes in Greensboro, NC and a solid reputation with area real estate agents, they are the premier custom homebuilders in Greensboro with whom you can find the answers to your new home questions.